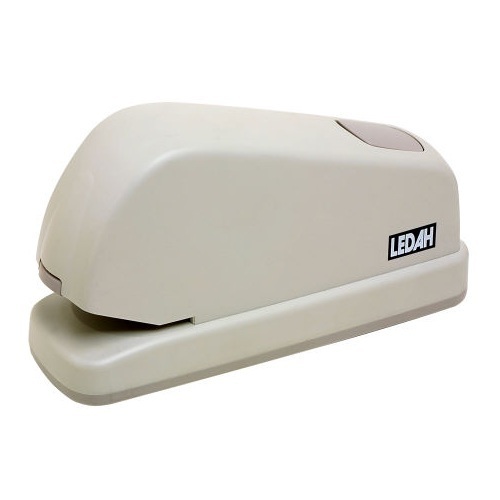 Electric Staplers are ideal for high volume stapling, electric staplers allow large quantities of material to be stapled quickly and with minimum effort. Built with automated stapling mechanisms, electric staplers operate without the need to apply force manually to the stapler and can automatically staple materials when they are placed in them. 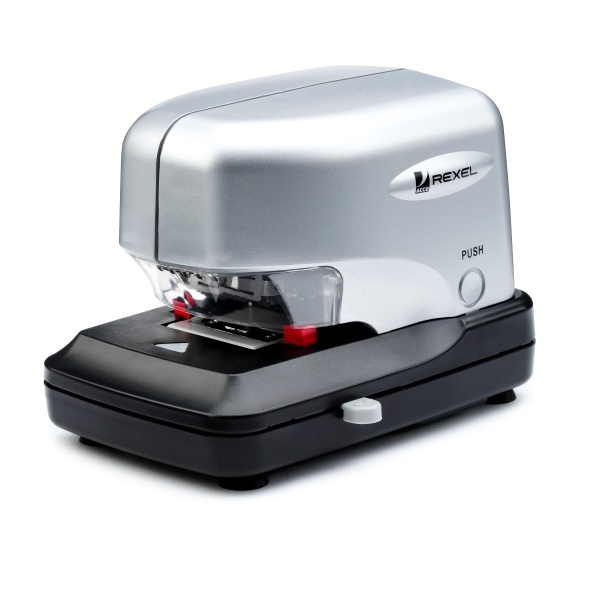 They vary in quality from the basic electric staplers to ones with heavy duty stapling capacity of up to 100 sheets at a time. Easy-to-use push button electric stapler. Front loading. Ideal for home or small office. Uses 24/6 ang 26/6 staples. 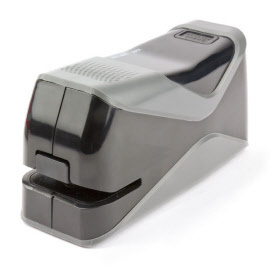 Compact and competent desktop electric and/or battery stapler. Perfect for home or small office. Ergonomically designed for in-hand or desktop use. 20 sheet capacity with 10 mm stapling depth. Uses 24/6 and 26/6 staples. Modern, attractive design, multi-function desktop electric stapler and hole punch in one! Punches up to 14 sheets (80 mm centres) with adjustable paper guide. 20 sheet capacity. Front loading stapler mechanism. Features non-skid feet and low battery indication light. 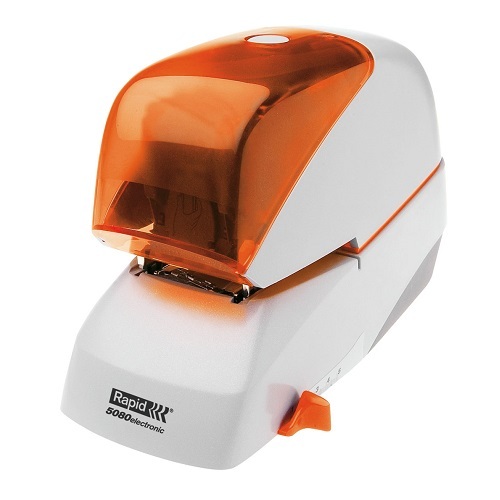 The Rexel Stella 30 is a compact, accurate electric stapler. This stapler comes with a flat clinch for flatter stacks of paper, and an Easy Jam release button to counter paper jams. Strong metal construction with suction cap feet to prevent skidding and marking. Supplies with one Cartridge of 5,000 staples. 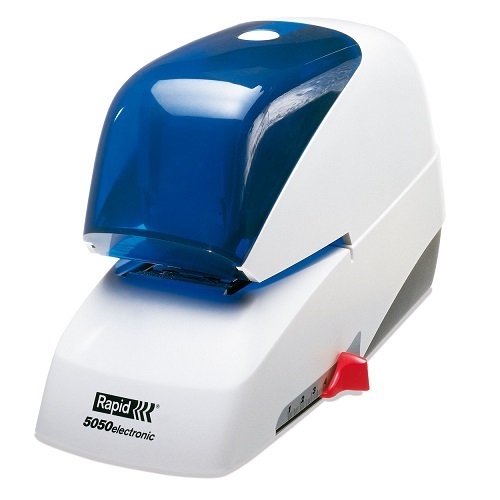 Extremely quiet action and low vibration Rapid Electric Stapler ideal for use in offices and copy rooms. Constructed for over 500,000 stapling operations. Capable of 5,000 staples without reload. 50 sheet capacity with 50 mm stapling depth. 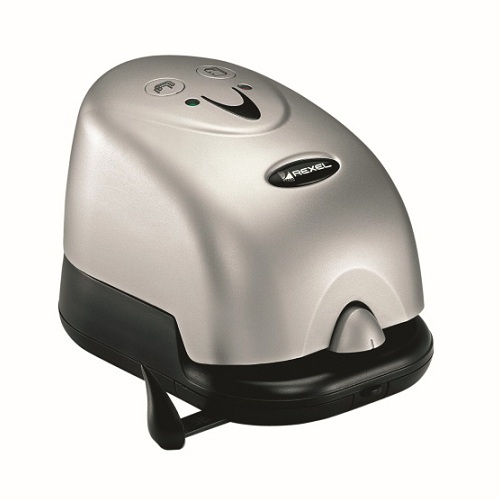 80 sheet capacity with 50 mm stapling depth.